Prescribed for: Anyone who has ever had an eating disorder themselves or lived with and/or loved someone who had a complex relationship with food. Side Effects: Tears of frustration, joy, and compassion. This incredible debut novel isn’t just about a woman with an eating disorder. This is a book about and for all women. It is about love and acceptance. It is about meeting challenges head on. It is about friendship and relationships. It is about hopelessness and despair. Ultimately, it will educate readers while not being preachy. And touch the hearts of anyone…mother, sister, daughter, friend…who has faced an eating disorder head on, or has ever felt guilt, shame, or longing when looking at pictures of models in magazines or denied themselves ice cream/chocolate/pizza because they thought they needed to lose 5 lbs in order to be perfect. Directions: Anna’s dream was to be a professional dancer and she did everything to push her body to conform to the strict rules that profession demanded. When she moves to the United States with the love of her life, she feels adrift and lonely, viewing herself harshly and thinking others view her that way as well. In an effort to master her emotions and her fears, she begins to exert undue control over her eating habits until she weighs just 88 lbs and must face her mortality, as she seeks help in a residential treatment facility for women suffering from eating disorders. 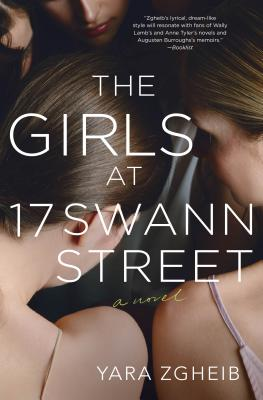 At 17 Swann Street, Anna will face the biggest battles of her life as she experiences love, hate, frustration, fear, and loathing, all while struggling to eat six meals a day. Some of her housemates will not survive; some feel they have nothing to live for. Anna, however, is in love and does want to live. But first, she must learn to love and forgive herself.